A longboard and a windfoiling session for me yesterday. 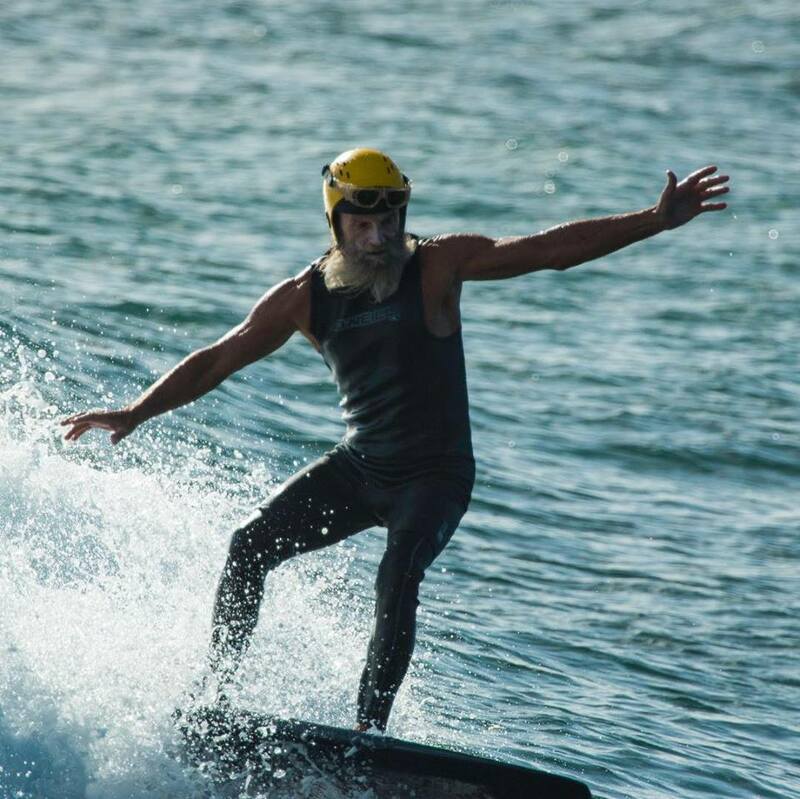 The harbor had foiling waves, here’s a photo of legendary (at least for me) Jim Bones by Chris Pagdilao. Thousand Peaks was flat to knee high and glassy and nose riding my longboard was a delight. What a difference not having a leash does! I’ve always been against people not wearing a leash, but I might have to contradict myself once again and join the club. At least when it’s small and uncrowded. The stretch towards Grandma’s would have been perfect to glide around on an e-foil. 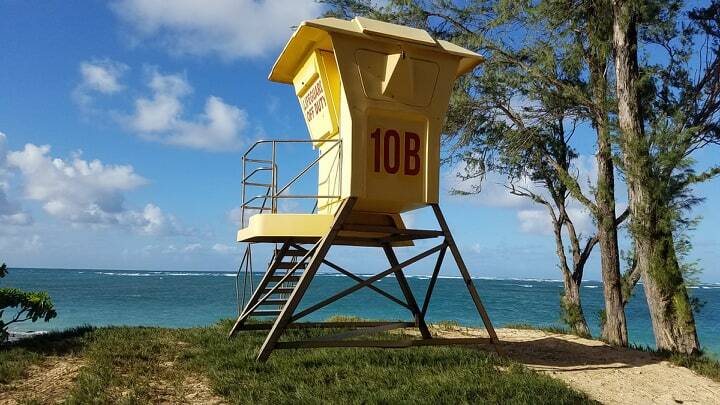 I took this photo of one of the lifeguard towers at Kanaha, because I have a feeling it’s not going to look like that after the storm. I’m imagining a post storm picture with a log resting on the rail. The amount of debris is going to be significant and none of the north shore beaches is going to look as they look now. Take pictures of your favorite beach before and after and send them to me please if you feel like contributing to the blog content. New long period westerly wrap at the Lanai buoy might make for another day of small waves in Kihei. Pat Caldwell points out that A low pressure system SE of New Zealand 2/1-3 aimed highest seas at the Americas. The PacIOOS/CDIP SW Oahu and SW Lanai buoys 2/8 show a smidgen of long-period swell. This low event should hold over the weekend. I don’t see it at the buoys, but I believe it, since it’s also supported by the fetches map, which I collaged below: Feb 1, 2, 3 and 4. As far as today’s call, the only place that will possibly have surfable waves on the north shore (from Waiehu to Hookipa) will eventually be the harbor, but it’s already blowing 28mph at 6am, so forget about it I would say. 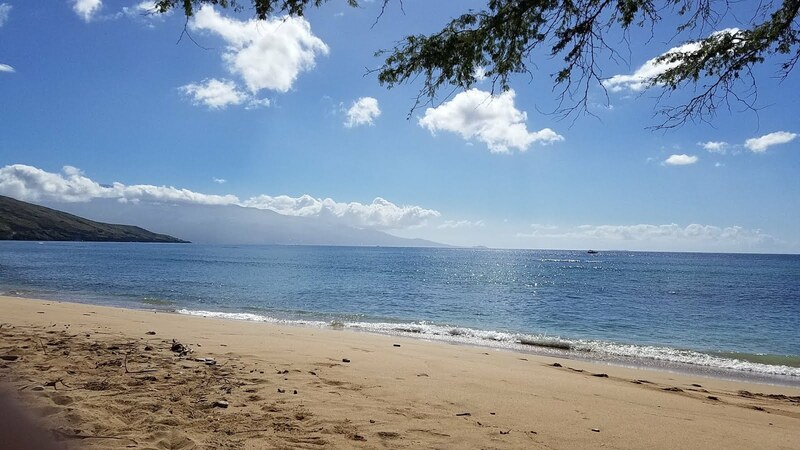 I’d rather take the chance to find a sheltered spot somewhere on the Lahaina side and chase knee highers, but even that is going to be difficult. Otherwise, great day to rest or do taxes. FROM ANYONEPushing the culture of surfing in their own ways….